Pathways explain how the cells in our bodies work. Like a wiring diagram, pathways show the flow of interactions and reactions among molecules that perform all the functions of Life. There are pathways for the metabolism of sugars and the development of the heart. There are also pathways for tumor growth and drug activity. Researchers around the world continue to discover new pathways all the time. 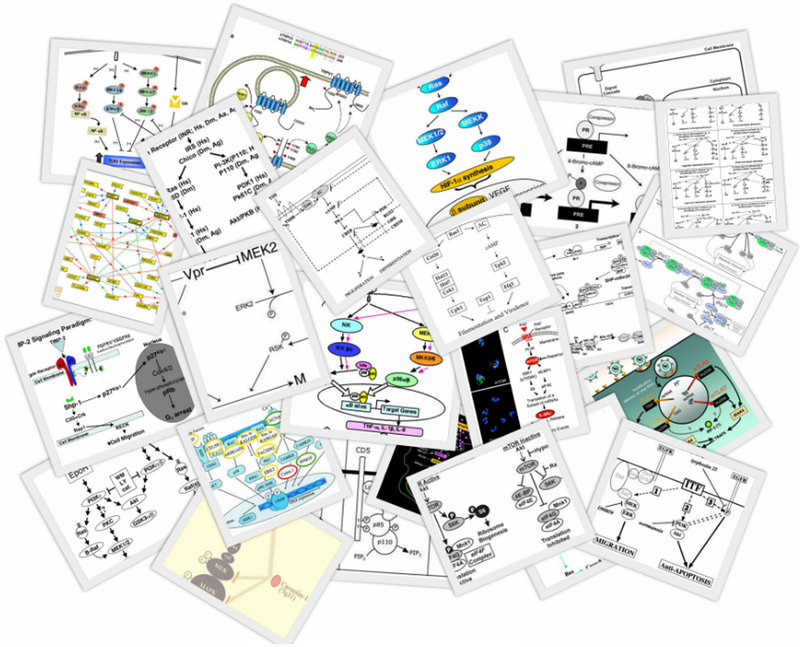 In fact, thousands of new pathway diagrams are published in the scientific literature each year! Unfortunately, they are often provided only as static images that can't easily be searched or used in follow-up research. The goal of the WikiPathways project is to collect pathway information in a format that can be used by researchers, patients and students. Additionally, all collected content is free and open access. Our approach is similar to Wikipedia: provide easy-to-use tools to allow any individual to contribute content. That's where YOU come in! WikiPathways Academy will walk you though the process of becoming a pathway author. We start with basic terminology and rapidly progress to using the authoring tools. In no time at all, you will be able to take the pathway information trapped in static images and unleash it upon the world as living pathway models! Start your path towards becoming a WikiPathways author and contributor.